Is The Availability of Hepatitis C Drugs from India threatened? 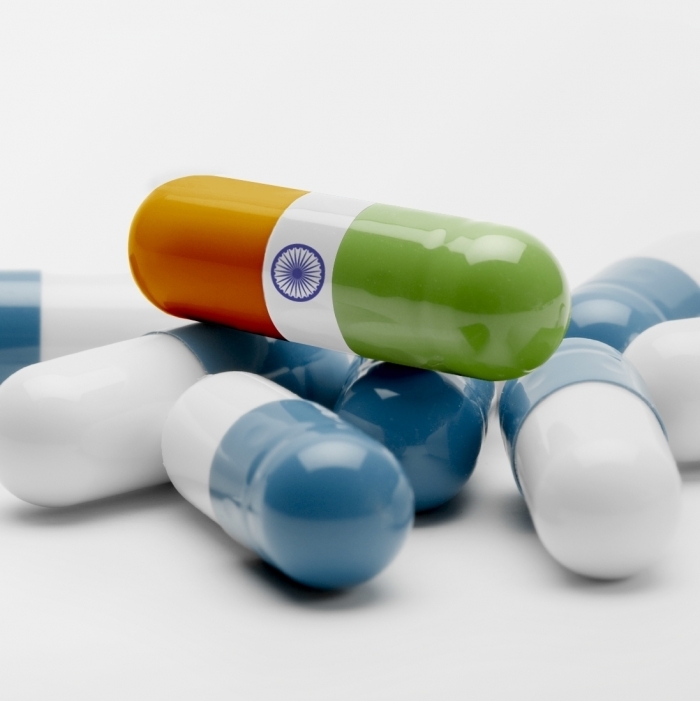 Where does India come in in the pharmaceutical industry? This is how drug industry works. New drugs are being developed by big pharmaceutical corporations in the developed world (mostly the US and Europe). When such originator drugs are launched, they are usually very expensive and patients and healthcare insurances have to pay even 100s of dollars per dollar of costs of actually making the drug. Hepatitis C treatment area is a great example of that: Gilead Sciences developed an active molecule sofosbuvir (in hindsight, they bought a company that developed sofosbuvir, and invested in clinical studies to bring it to the market). They registered a drug called Sovaldi that consists of 400mg sofosbuvir pills, and they are selling a single such pill for about $1000 in the US. The manufacturing costs to create such pill are a lot less than $10. But, after all, this is how pharmaceutical industry works. India is special because they enable access to expensive drugs by creating generic versions of such drugs. This is why India is dubbed 'A pharmacy for the developing world'. They are known to produce low-cost medicines that are also being sold for low prices. Gilead may produce low-cost medicines (they will pay pennies on the dollar for production costs) but you'll never see them selling it for low prices. Patents are how big pharmaceutical corporations secure monopoly in the drug business and is the reason why they can sell drugs at such high prices. What makes India so special is not only that they are capable of producing drugs; it is that they have a special patent law that is not so much in favour of big corporations than in the rest of the world - and this is exactly the law that Europe and the US want them to change. Indian patent law is designed specifically to prevent ever greening. Ever greening is the practice of pharma business big players to extend or get new patents on old drugs - in many times by making small changes in the active molecule or package it is some new way. In such a way, the drug effectiveness is not significantly increased - but the company sales of the drugs are huge because they can get a patent for it as a novel drug and sell it at high prices. Well, that can't be done in India. Here is an example of ever greening. AstraZeneca, the second biggest pharmaceutical company in the UK, has been selling a drug containing omeprazole for some years (omeprazole is a treatment for acid reflux in the stomach). When a patent on omeprazole was about to expire and the drugs they were selling for lets say $50 would be reduced to $10 due to generic competition, they 'invented' a new active molecule called esomeprazole. This is how they could not only maintain $50 drug prices, but even increase the price to lets say $70. The problem? Look at the difference between the drugs. One does not need to be an expert in drug design to see that the molecules are practically identical; there is just a bit of a difference in the middle of the molecule (S-O bond). The treatment effects of both molecules are comparable; albeit esomeprazole was proven to be slightly better. AstraZeneca sold esomeprazole up till 2015 - at that point they were selling about $5 billion of esomeprazole per year. Without it, they would lose tens of billions of dollars that would remain in the pockets of their patients. In Hepatitis C world, the story of Australian Greg Jefferys is well known. He was a Hepatitis C patient who couldn't afford $100,000 for the medicine Gilead Sciences was selling. He is one of the first who flew to India, bought generic Sovaldi for $1,200 and got cured. This is an example how every Hepatitis C patient can benefit from India's drug industry, and of course how the big corporations in the developed world can fail in extorting huge sums of money from people who know will die without the drugs the big pharma is selling. With the recent renewal of India's free trade agreement with Europe, the practices of India's patent law offices are coming into question. If these laws would be changed to the laws in developed countries, there would be no more low-cost medicines for patients. There would be no more cheap Sovaldi and Harvoni for Hepatitis C patients. The good news is that India is now likely to bow down to Europe. The statement was made by Gregg Jefferys who experiences the first hand the harshness that big pharma possess and the solution that India's generic pharmaceutical industry presents. Dr. Prabhash Ranjan, Prof. of Trade Law at South Asia University, is of an option that the patent law is not likely to be changed in India. India simply has too much to lose. Because of all the benefits of low-cost medicines, India is reaping a lot of success with the so-called 'Hepatitis C tourism' - welcoming people from all around the world who can't pay $100,000 for Hepatitis C drugs. They come to India for a week or two, get the drugs for $1000 or so, and are cured within 3 months. We will let you know how everything turns out. In the meantime, be sure to contact us and get the Hepatitis C drugs from India while the loophole is still open.